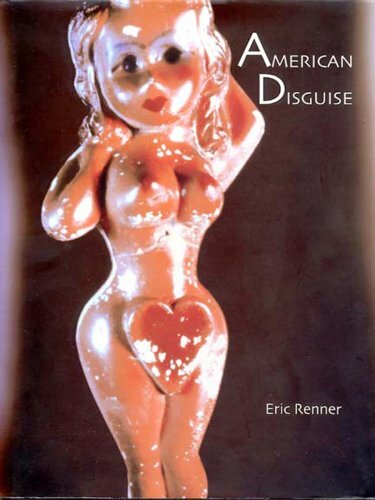 American Disguise by Eric Renner is now available in an artist’s proof limited edition. Eight years in preparation, American Disguise is a coffee table sized book about visual literacy and social criticism. American Disguise presents a collection of pinhole photographs of carnival chalk prizes to demonstrate how 20th century American media evolved figurative stereotypes and updated visual archetypes to promote and propagandize sexism, racism, and nationalism. Included are many rare media images from the 1920s to 1960s era. The book is a treasury of imagery. Edited by Susan Sontag's editor. Beautifully printed in Shenzhen, China, on highest quality Korean paper, 2007. 459 images (322 in color and 137 in black and white) 183 images by the author are pinhole photographs of carnival chalk prizes using Polaroid 809.